Ona and I went to the Braves game today and had a blast. It was all about food with Ona so we had cotton candy, popcorn, lemonade, and ice cream. She got bored in the 6th inning (I still have some brain washing to do), so we ventured to the kids place, where she had a great time despite the other kids being super wild and aggressive. On the way to the game, she surprised the crap out of me by saying "Dan Uggla is my favorite, maybe he'll hit another home run today". 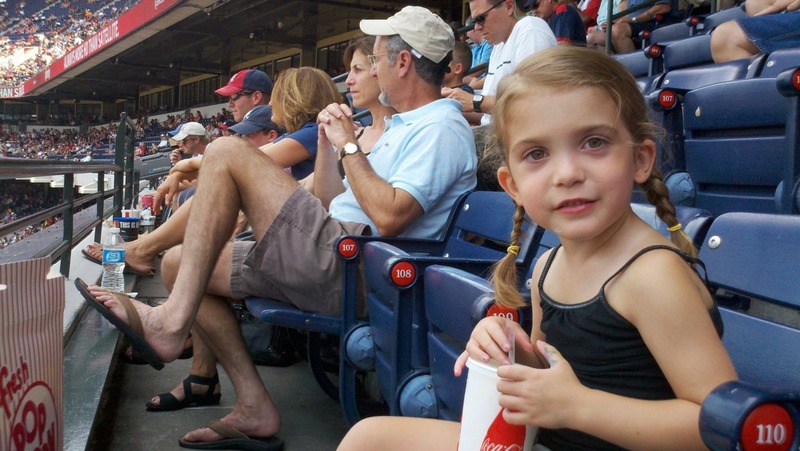 We watched an inning of the game last night when Uggla went yard, so she must've actually been paying attention.